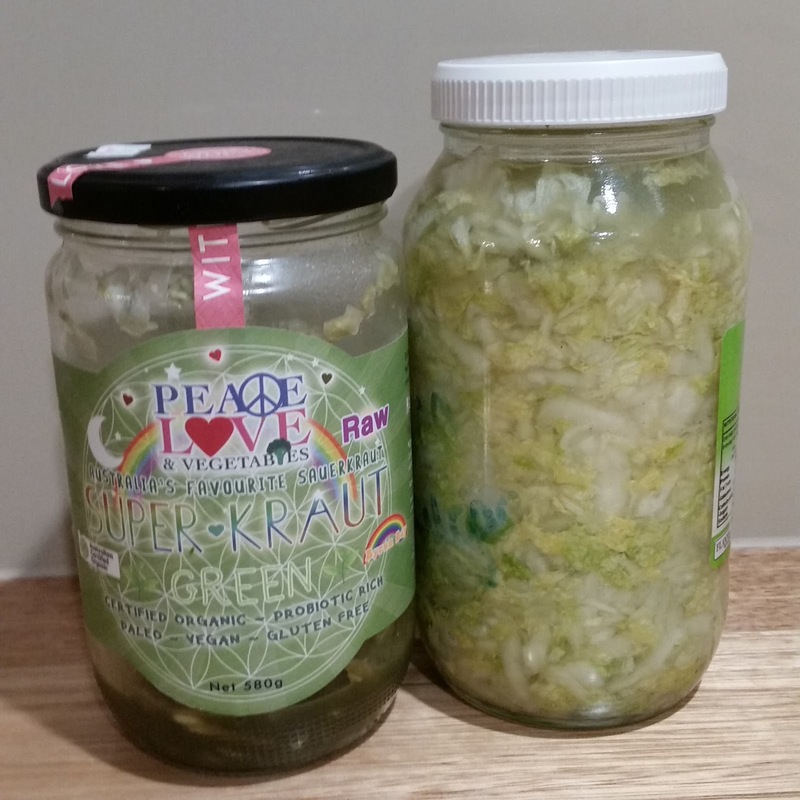 I got brave and made more sauerkraut (here's the first batch I ever made, and when I learnt more about it). I had been enjoying some that I bought and it was running out, so I decided to make some from a wombok that I bought from the market. We were never going to eat the whole wombok anyway! It is so simple to make and I was able to use some of the juice from the jar I bought to start my jar, so it turned out very tasty and crunchy, just right. I like having a bit of sauerkraut with most meals instead of a sauce or pickle. It tastes good and it has probiotics for digestion. With the fire lighting season comes the firewood season. Fortunately we have many piles of logs that were cut down by the previous owner of this property 10-20 years ago for fence posts. 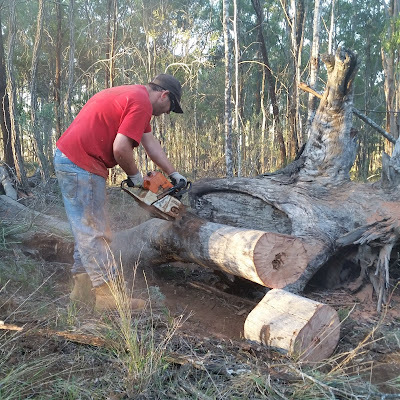 He took the good post and left all the branches, which are still fine for firewood and nicely aged for us to use right away. It feels good to gradually clean up these piles, but I think we will not run out of wood while we are living here! It is also fascinating to see the piles starting to decompose and fantastic soil that is forming in the old logs, reinforces the concept of hugelkultur. We missed our fresh eggs, so I bought a flock of seven point of lay hens (mixed breed). They have not laid any eggs yet, after four weeks, so I wonder when they are planning to start. We are now getting one egg a day from the other hens, so still buying eggs from the supermarket. Our usual strategy is to hatch extra hens in spring so that they start laying around now, but we didn't hatch any this year due to the impending move. More new arrivals - we had 21 Angus steers delivered for us to fatten for a few months. They are fluffy and cute at the moment. Molly had her calf and we haven't milked her yet. She is on poor pasture and her udder has decreased to match the needs of her calf, so no chance of mastitis so far. She is starting to get a little skinny so I need to bring her into our house-cow yard near the house and start giving her a little hay (and then maybe milk her, I do miss fresh raw milk, but I don't miss having to milk every day! And I would like to try making milk soap too). We will also bring baby house cows Charlotte and Rosey into the house cow yard to stay tame. Bella can stay with the weaners and look after them (she is such a good mother cow and the weaners are getting tame). There is not much to report with the bees over winter as we just leave them alone now until Spring. They really need to stay warm and every time we open the box to check on them we let in cold air, so unless we get a really warm day we can't inspect them. The old garden is surprisingly productive without my input. At last visit I was able to harvest beans, kale and cherry tomatoes pictured below. 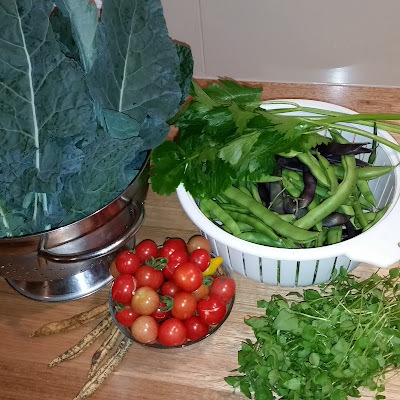 I am also starting to pick kale, silverbeet and micro asian greens from my pot garden at Cheslyn Rise. I am finding it annoying having to water the pots all the time, so I'm looking forward to setting up a real garden (I've managed to kill the oregano already from lack of water). We haven't done much more work around the house lately because Pete has been studying for an exam. We have hung a few paintings, unpacked more boxes and got into a routine of cleaning the house. Its actually far more enjoyable cleaning a nice house, especially after we have worked so hard to get to this stage, compared to cleaning our last house which I never really liked. I have been using Enjo cloths and broom/mop, which is quite novel still as well. 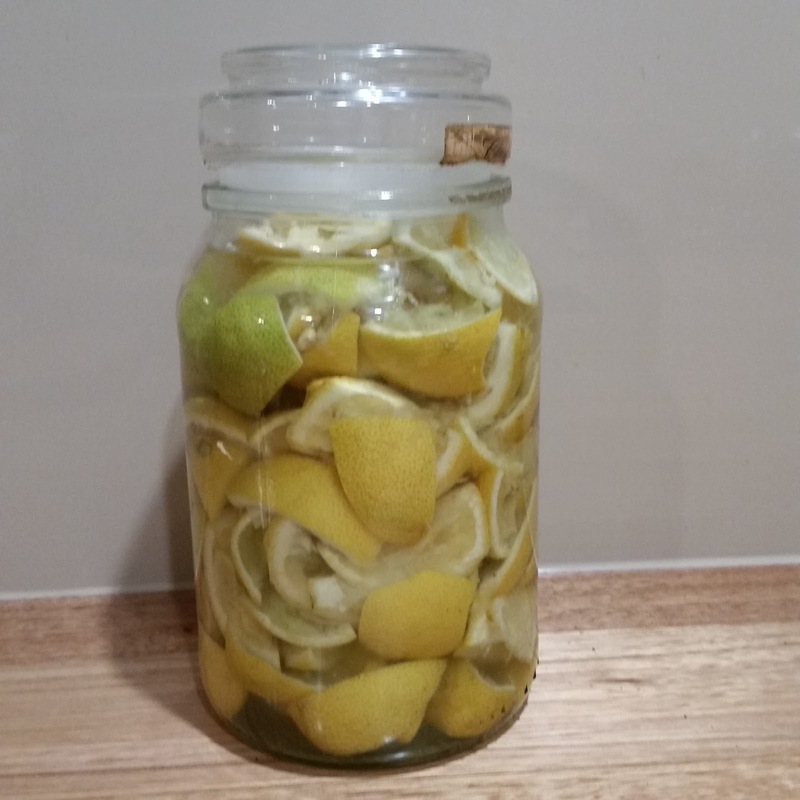 I also made a batch of lemon vinegar after I juiced a heap of lemons (more about how that works here). We still need to finish cleaning up at Nanango so that we can put it on the market, but I think at the moment we are just enjoying the new house and a bit of a rest! Chapter five of Toby Hemenway's Gaia's Garden: A Guide to Home-Scale Permaculture, 2nd Edition (affiliate link) is about useful plants. He contrasts traditional garden design (choosing and placing plants for aesthetic reasons only) with a permaculture design, which considers all the functions of a plant and combinations of plants, to create a practical garden. Thinking about using plants to create shade, fix nitrogen, for food and medicine . I think the important thing here is that a functional garden doesn't have to be ugly. I really want to create a bee-friendly garden using herbs, such as lavender, marigold, borage, comfrey, winter tarragon, dill, parsley and calendula (etc!) - these are all beautiful flowering plants, that also have medicinal, culinary and other uses. Even plants like ginger and lemon grass can be visually pleasing as well as useful. I find ornamental gardens odd, why go to the trouble of maintaining something that ONLY looks nice, when you could be producing so much more for your effort? I've been making lots of soap in my new soap kitchen in the shed. It has been one of our best decisions to make that room as all the soap gear is stored away from the food kitchen and I don't have to tidy up all the time. 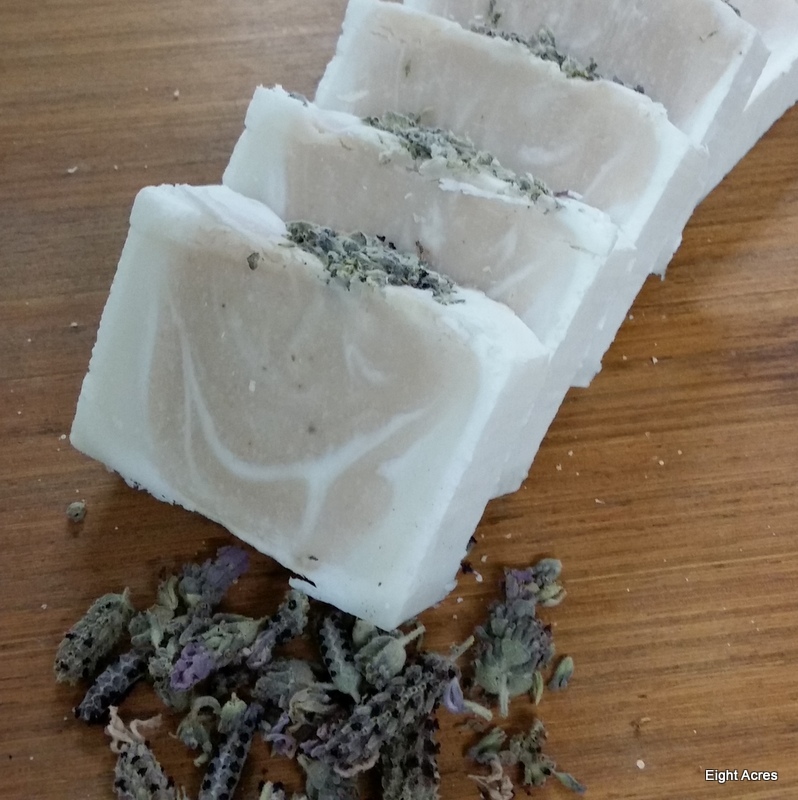 I have restocked my Etsy shop with all my soaps, and I've made a few custom orders for friends (there is now a custom order listing on Etsy too, $25 for an entire loaf of soap - 10 bars, made to your specifications). 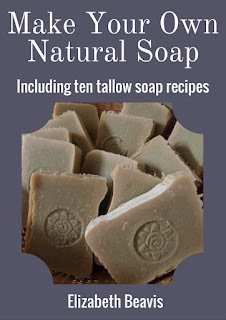 I finally finished my soap eBook (Make Your Own Natural Soap) and its available now on Etsy and Amazon - more info here. 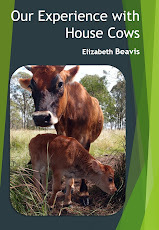 I have two lovely reviews already (Jembella Farm and Going Grey and Slight Green), and its nice to know that people are finding the book useful (both of these ladies are very experienced soapers, so I was hoping they would like the eBook!). Also following my review of Biome's cleaning products they have sent me some more fun items to test - a coconut yoghurt kit, mushroom kit, beeswax wraps and a "swag" for storing vegetables in the fridge. I will be writing about these very soon. Thank you for using my affiliate links! How was your May? What are your plans for May? What are you growing/cooking/crafting at the moment?